At Prestbury Worldwide Resorts we specialise in Six Star Cruises which we are passionate about. 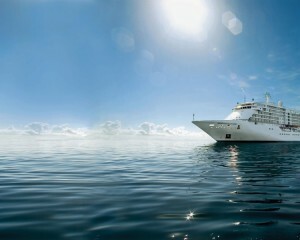 We work closely with our cruise partners Silversea, Regent Seven Seas and Seabourn. Our cruise pages provide in-depth descriptions of each ship and each ship has an example voyage. Whilst we do not feature every cruise ship itinerary, we offer competitive prices for each and every sailing, so please contact us for more information and prices. We appreciate that a traditional cruise is not everyone's perfect holiday, which is why Prestbury Worldwide Resorts recommend only a small selection of the finest ships in the world for the most discerning of travellers. Silversea Cruises, Regent Seven Seas Cruises and Seabourn offer fine examples of intimate, elegant and relaxing cruises affording guests nothing less than the very best service and accommodation. 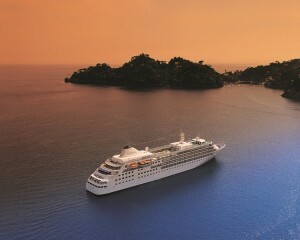 Cruising is an excellent way to explore different destinations and cultures from an intimate and relaxed haven. Each Cruise that we personally recommend is faultlessly organised with days of discovery that are complemented with evenings of quality cuisine and entertainment. We highly recommend a pre or post cruise hotel stay, to experience at least one destination's character and beauty to the full and will recommend a suitable hotel. For example, if your cruise is due to start or finish in Barbados, the perfect start or end to your cruise would be a stay in one of our portfolio of stunning hotels on the island. Please contact our team to discuss your cruise and stay requirements and they will be able to advise of any flight or excursion offers that may be applicable to your desired cruise. Whilst we only feature a selection of itineraries, we offer competitive prices on all voyages, including flights and pre & post cruise stays. Please contact us for a quotation and for more information. Regent Seven Seas has a philosophy to provide an ultra-luxury, all-inclusive experience and one that offers exceptional value with complimentary shore excursions. 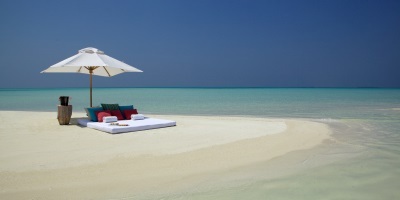 They provide guests with fresh perspectives and insights into their destinations. 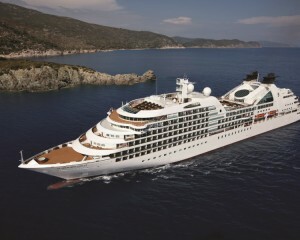 Regent Seven Seas provide voyages for exploration and discovery to more than 300 ports on all seven continents and with smaller ships, visits to more intimate ports are possible.With luxury vessels designed for guests in the hundreds and where the staff to guest ratio is 2:3, the ambiance on board is personal and individual, "upscale but not uptight". All ships share certain distinctions in accommodations; being all-suite and with every suite having a balcony; service, with intuitive and personal service; dining, with open seating and alternative restaurant options and a huge array of facilities, all of which elevate the ships to having an enviable six-stars.As well as the excellent facilities on board, Regent Seven Seas also offers guests the opportunity to take part in small interactive group enrichment programmes.There are a wide range of itineraries to choose from, too many to list. Please do get in touch and we would be delighted to share our Ocean Cruise knowledge with you. Seabourn’s fleet of intimate ships are renowned for their style, elegance and relaxed ambiance as well as fabulous but unobtrusive service. Each ship offers all-suite accommodations, providing the necessary space in which to truly relax while the open seating policy when dining only promotes the sociable atmosphere on board.The open-bar policy means that premium wines, champagne and spirits are free flowing and the menus offer a sensational level of cuisine, all created by renowned US celebrity chef, Charlie Palmer. Seabourn’s signature water sports Marina has plenty on offer for the more active while the nightly entertainment and casino provide further possibilities.With a fleet of just four ships, Seabourn offers an excellent choice of sophisticated and luxurious journeys in far-flung parts of the earth. Due to the smaller size of the fleet, Seabourn is able to offer a variety of cruises to some unusual and unique destinations. Along with unique itineraries, the ships offer very comfortable accommodations and plenty of activities, providing the opportunity to be very active or very inactive!Seabourn Odyssey, Seabourn Sojourn and Seabourn Quest offer a similar layout and architecture to one another, but cruise in difference parts of the world and the new addition to the fleet Seabourn Encore is scheduled for arrival later in 2016.There are a wide range of itineraries to choose from, too many to list. Please do get in touch and we would be delighted to share our Ocean Cruise knowledge with you. A Silversea cruise is an intimate six-star journey with a warm Italian touch, where luxury permeates every detail aboard the sleek yacht-style ships. With a maximum of just 540 guests, Silversea defines the luxury travel experience with its spacious, beautifully appointed ocean view suites, award-winning gourmet cuisine and fine wine, all of which is fully inclusive.Silversea creates exceptional ocean journeys and unique opportunities to explore remote ports-of-call, making each voyage a unique masterpiece. What could be better than sailing deep into the Amazon rainforest or watching the palm-fringed silhouette of an idyllic Caribbean island as you relax upon your private teak veranda?Silversea’s fleet also includes three Expedition ships - Silver Explorer, Silver Galapagos and the new Silver Discoverer that offer discerning guests adventurous journeys through some of the world’s most remote regions including the fascinating Galapagos islands and archipelagos of the South Pacific. There are a wide range of itineraries to choose from, too many to list. Please do get in touch and we would be delighted to share our Ocean Cruise knowledge with you.